Vast and vaguely mysterious, Ukraine is barely known to outsiders despite being one of the largest countries in Europe. Long associated with its colossal neighbour Russia, it’s a country of varied landscapes and surprising cultural diversity. The Carpathian Mountains that spill over the border with Poland, Hungary and Romania dominate the west of the country while flat plains carpeted with sunflowers and cereals make up much of the central and eastern region. To the south are the almost Mediterranean-like Black Sea coast and the Crimean Peninsula, which remains a huge draw for holidaymakers every summer. Ukraine's capital, Kiev, founded in the eighth century, displays a heady mix of architecture befitting of a city that was once capital of Kievan Rus, the precursor of the modern Russian state. A wealth of baroque and Renaissance architecture can also be found in Lviv, one of Europe's oldest cities. In 1986, in the final years of the Soviet era and during the Perestroika period of President Gorbachev, the accident at the Chernobyl nuclear plant in northern Ukraine brought worldwide attention, and was arguably a significant factor in accelerating the collapse of the Soviet Union. Ukraine continues to experience significant political and economic changes. In recent years, the amount and types of goods and services available in Ukraine have increased, and facilities for travellers have improved. Situated on the Dnipro River, Kiev (also Kyiv) is the capital city of Ukraine. After a rough and turbulent history, the town has become an interesting array of old and new buildings. More and more of the culture is being influenced by the characteristics of both Western and European customs, yet the Ukrainians who live here still cling proudly to tradition. The modern city of Kiev is home to roughly three million people. While many of its greater architectural and art treasures were destroyed in the Second World War, that which was left has been restored and now proudly adorns the face of this picturesque city. Known as the ‘Green City’ for its many botanical gardens, parks and beautiful trees, the city is a wonder to behold in summer and spring. The many theatres and opera houses provide indoor entertainment, and craft markets selling an abundance of traditional Ukrainian goods can be found in various city squares. There are art galleries, beautiful old buildings and even catacombs to see. 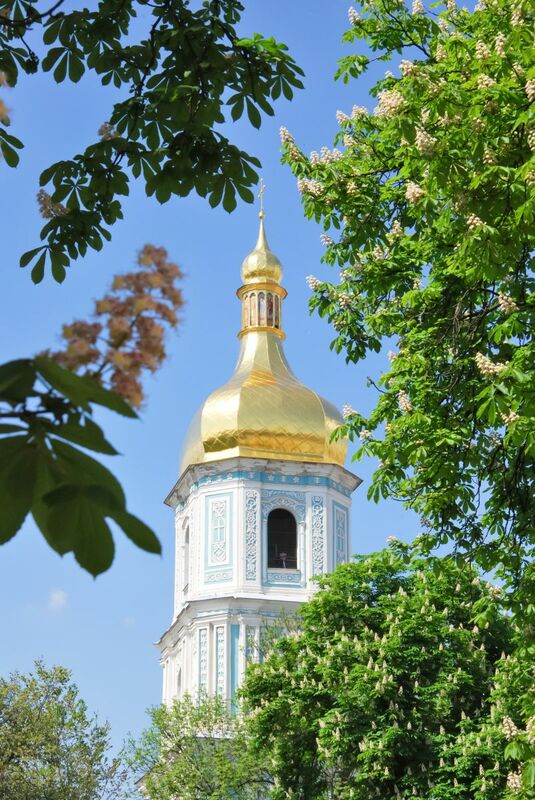 Kiev is a charming and majestic city that should not be missed.